End of Life: This product is sourced from another supplier and will not be ordered again. You can contact support@phidgets.com for information on the supplier. The 3600 is a bright general purpose Red LED with a narrow beam. Because of its brightness and narrow beam it is not recommended as an indicator light. Here are the options available for interfacing these LEDs to your computer. Our specialized LED controllers offer features like dimming and current control, but any Phidget with digital outputs will work for basic applications where an LED just needs to be turned on and off. 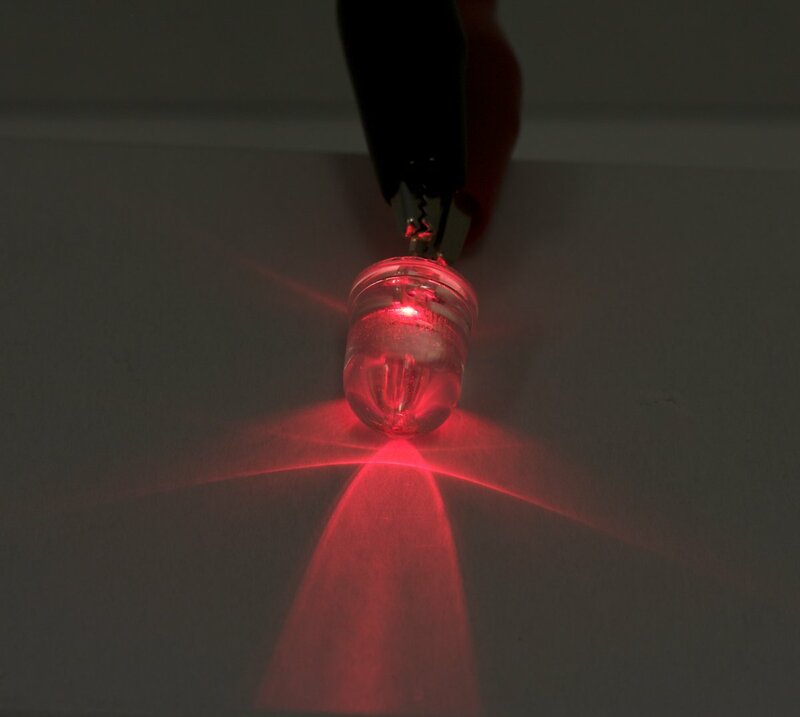 When connecting to an LED output, use the LED cable and connect the anode (long wire) to the red wire and the cathode (short wire) to the black wire. When connecting to ordinary digital outputs, connect the anode (long wire) to the Digital Output and the cathode (short wire) to Ground. For more information on LEDs, visit the LED Primer.